Studying public history is studying the way history can be applied to the world around you. You might call it applied history as it covers the many ways history is put to work in the world. This minor familiarizes you with the field of public history and the various ways you can use your love of history as a career. Careers for public historians come in all shapes and sizes. You could become a historical consultant, museum professional, government historian, archivist, oral historian, curator, film and media producer, historical interpreter, historic preservationist, policy adviser, or community activist. All share an interest and commitment to making history relevant and useful in the public sphere. Combine with political science or philosophy. 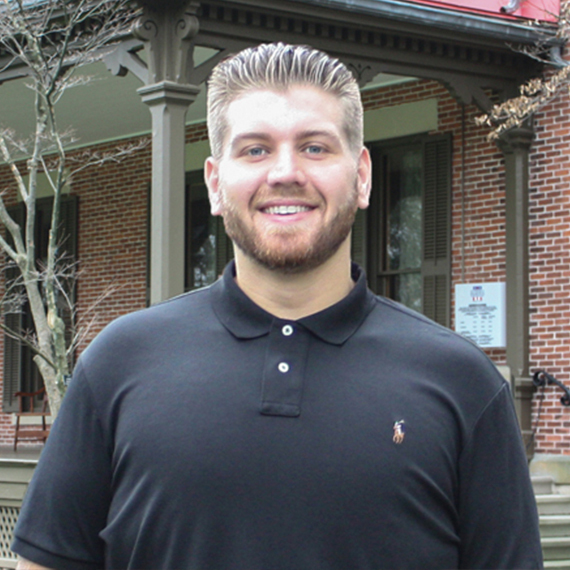 Evan Engelhart got a presidential learning experience at the Rutherford B. Hayes Center in Fremont, Ohio. Under the education coordinator, Evan helped with tours and collected research to help the tour guides and Center better educate guests.